Appearing for TRB Polytechnic Lecturer Exam 2017 ? Want some solved questions for Mechanical Engineering? Here is a question which was asked in the previous year exam held in 2012. This question comes under the Syllabus of Fluid Mechanics and Machinery. The question is not widely available in the internet except few book results where only question is available. No answer can be found in the internet for the following question and thus we have come here with a solution which will give an idea for those who are preparing the TRB exam very seriously. Here is the question and its solution. 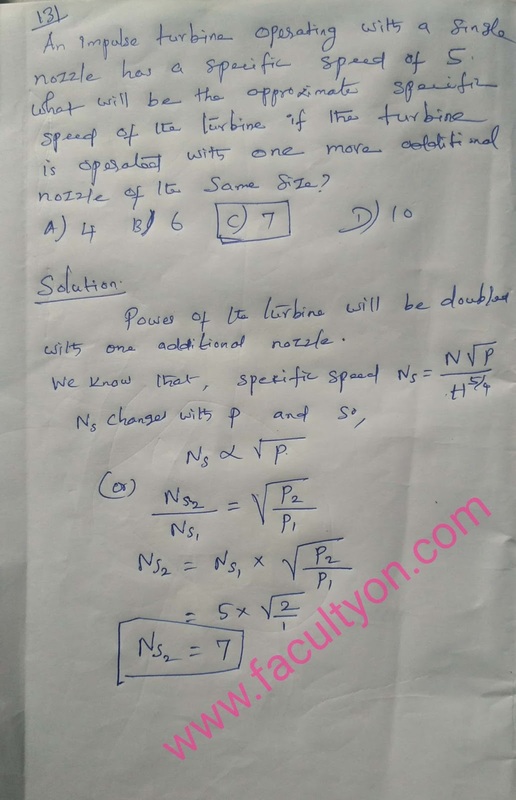 Question: An impulse turbine operating with a single nozzle has a specific speed of 5. What will be the approximate specific speed of the turbine if the turbine is operated with one more additional nozzle of the same size?